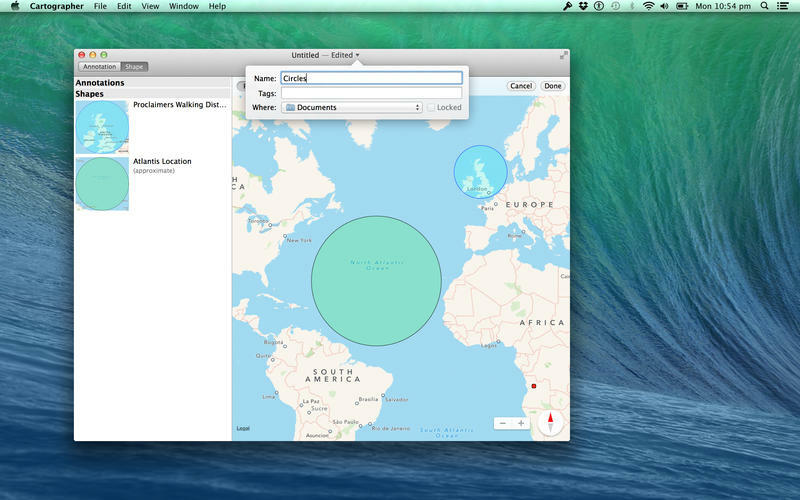 Cartographer is a map annotation tool designed specially for MapKit. 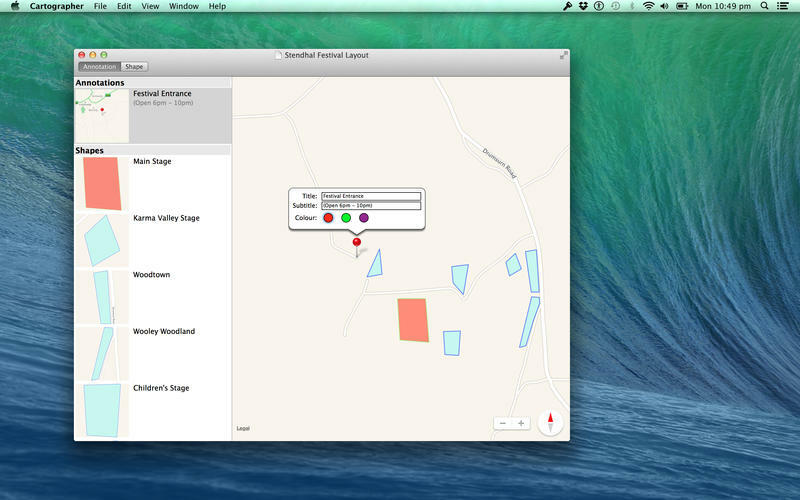 Cartographer is a map annotation tool designed specially for MapKit. With it you can quickly add pins and overlays to maps, which can then be saved as either a custom format or as GeoJSON, ready to be loaded into your own application using CartographerKit. If you have any queries or suggestions, bug reports or just fancy a chat, email cartographer@falsevictories.com. We would very much appreciate it if you would rate the app for us.